The sleek stainless-steel design will keep your kitchen looking contemporary. With its 360 bases, the Breville kettle is perfect for left or right-hand use. There is a push-button lid release for your convenience as well as side water windows so you can see how much you're boiling. 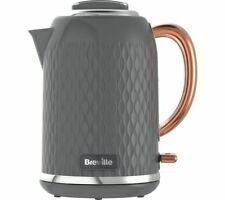 Breville Lustra Electric Kettle, 1.7 Litre, Storm Grey. The stunning kettle also has a 360-degree rotating base with non-slip feet. In house 100% QC inspection Electrical & function test. Why Buy From Us?. 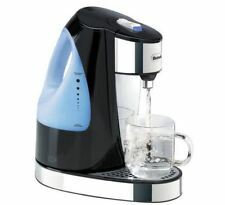 With an elegant, flowing textured design and gloss finish, this Breville Flow Jug Kettle will turn heads in any kitchen. The 360 base is ideal for left and right-hand use and the cord storage ensures the kitchen work-top remains tidy. The sleek stainless steel design will keep your kitchen looking contemporary. With its 360 base, the Breville kettle is perfect for left or right-hand use. There is a push-button lid release for your convenience and rear water gauge. Breville Polished Stainless Steel 1.7L Kettle with Still Hot Illumination VKJ846. Illumination changes from blue to red in boil mode. 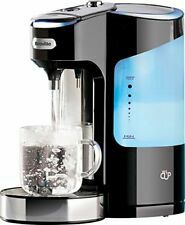 Breville Hot Cup Water Dispenser, Black - VKJ142. 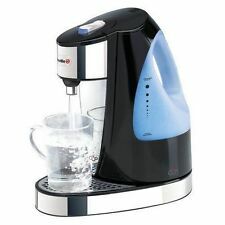 - The Breville VKJ142 is a hot water dispenser which gives you boiling water at the touch of a button. 1 x Breville Hot Cup with Variable Dispense. 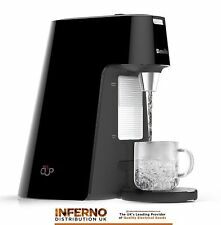 - The Hot Cup is easy to use - simply lift the main unit off the base and fill up at a tap just like a normal kettle. Box contents: Breville High Gloss VKJ946 Jug Kettle, Instruction manual. Strata Jug Kettle. 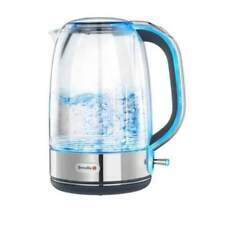 Type: Electric kettle. Cordless: Yes. HIGH GLOSS WHITE. Colour: White. Weight: 1 kg. Rapid boil function: Yes. 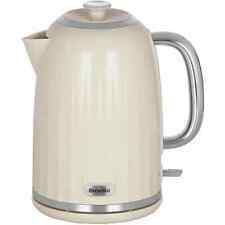 Lustra Cordless Kettle. This stunning kettle also handles the basics with ease. White illumination in boil mode. 360° base for left and right hand use. Width: 162 MM. Illumination: Y. Box contents: Breville Curve VKT019 Jug Kettle- Instruction booklet. Curve Jug Kettle. Type: Electric kettle. Rapid boil function: Yes. Safety features: Boil dry protection- Non-slip feet. Other features: Red illuminated water window in boil mode. Left-hander?. No problem! A 360-degree base makes pouring water easy and safe for all users. 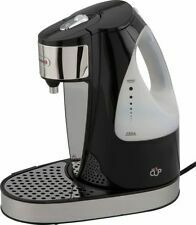 With non-slip feet, the kettle has no escape and will stay firmly in place even on wet surfaces. Cordless : Yes. Water level indicator. Unique curved texture design. Adjustable-width slots. Variable browning. 360° rotational base.